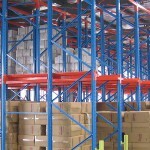 Northside offers a wide variety of storage solutions to suit all kinds of loads. Be it to store pallets, carpets, cables, long loads, high density loads or pigeon hole racking, we have the solution to all storage needs. 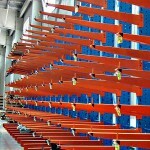 The most popular kinds of racking we supply are below. We can also provide custom solutions to suit your storage needs. Northside believes in long term partnerships with its customers. This has made us a well known name in industrial storage solutions since 1990. All our products have the highest quality comparable to the best brands in the market. We price competitive while offering the best quality solutions. Best suited for palletized loads but can be adapted for carpets, cables and long loads. Ask us How! Best suited for long loads but can be adopted to store furniture and variable length pallets. Ask us how! 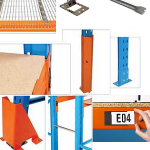 All kinds of racking accessories to protect, extend and add value to your storage and racking systems. Drive Thru/In pallet racking best suited for high density loads of same type either in LIFO or FIFO arrangement. At Northside, we do not compromise on quality. Our products have the stated thickness, weight and load bearings. We ensure that our racks are manufactured as per our design and quality standards while keeping tabs on the costs.This ensures lower maintenance costs and longer life of your storage systems. 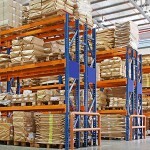 We visit your premises for a measure and can design a storage solution to optimize your space and storage requirements. We can supply from a single component to storage solutions for very large warehouses with the same service, quality and efficiency.We have supplied and installed our solutions to the smallest self storage unites to very large warehouses of Australian iconic brands. Please browse through our website to find more about our storage solutions. We are always happy to discuss your requirements and suggest the best option which is both economical and does the job. We stock our products in our Hornsby and Blacktown warehouse.